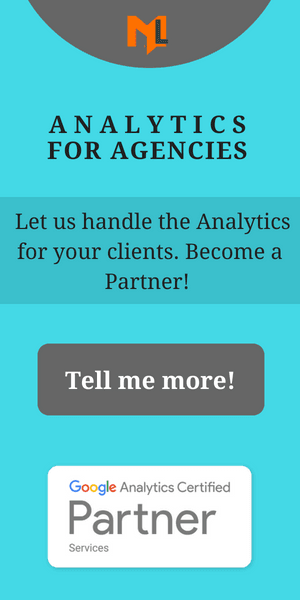 We have witnessed many of updates since Data Studio has been launched globally. One of the important updates is the addition of third-party data connectors. With third-party connectors, we can now import data from many of the external marketing channels like Facebook, Bing, DoubleClick..etc. 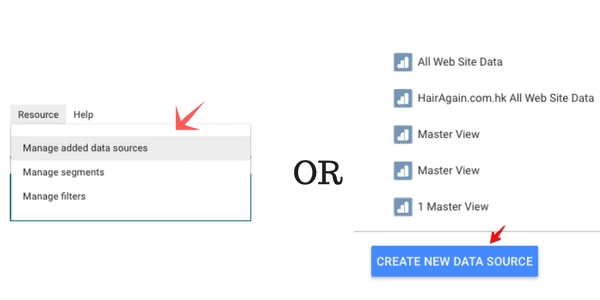 In this article, we will discuss why you should say goodbye to Google Sheets and hello to third-party data connectors. Before data connectors, Google Sheets were used as a medium to import data from other sources. It is still a workaround practiced by many of the online marketers but is a complex process. With Google Sheets, you have to gather all your data in a single sheet and have to be careful about each detail, to be able to import data to Google Data Studio successfully. Another painful workaround with sheets is, you have to make sure the date and time formats are compatible with Data Studio. Following are the four important things that make Google Sheets less useful. 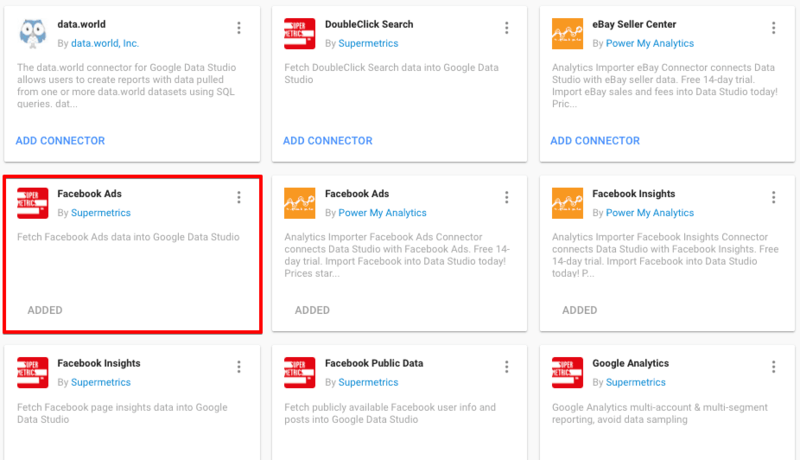 Google Data Studio introduced third-party connectors to eliminate the need of sheets to import data from other marketing channels. With data connectors, it became a very simple one-step process to visualize data from any source. Data Studio has now over 10 partners, where Funnel made a super connector that collects data from 250+ sources and send to 100+ destinations. This is pretty similar to ecommerce template layout but I am sure I would be able to tweak this to make it more related to ads report. Connecting a third party data source is similar to how we connect native data sources. However, connecting a third party data connector can be a pretty intimidating process at first for most of the people like me. Step2: click on CREATE NEW DATA SOURCE button on the right menu when created a new report or click Resources >> Manage added and then click Add a Data Source link for any existing report. Step3: From the left menu scroll down to see the community connectors and click EXPLORE CONNECTORS button. Step4: Here you will see a list of available third-party connectors. Look for Facebook Ads by Supermetrics connector and click ADD CONNECTOR link. Step7: select ad account, conversion window and click on CONNECT button on top right. Once you follow the steps successfully you can now create your report. Explore more about Supermetrics connectors and how you can use them together to build a single report for all your marketing data. If you are new to Data Studio, follow our step by step Data Studio tutorial to create an awesome report. The beauty of Data Studio is that you can add multiple data sources to the same report. Now, with data connectors, you can see all your marketing cost data in a single report i.e Facebook, Twitter, Adwords..etc. In a nutshell, importing your marketing data was not an impossible but a time-consuming and complex process which is now doable in a matter of seconds with third party data connectors. If you have used third party connector by now, please do buzz the comments with your experience.